military head of state on August 27, 1985 has been revealed. Leadership written by John Paden. Osinbajo as Vice presidential candidate to Buhari in the 2015 elections. “Many of these were businessmen. flourished during the Second Republic. anti-corruption measures and splits in the army were already appearing. 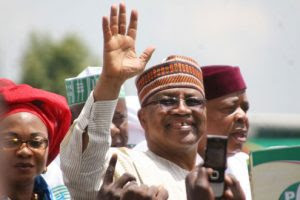 Babangida had been tensed for several years. Babangida has gradually been diffused. most of his time with his doctors in Germany”, the author wrote.